The Spring Whale Watch Week event returns to the coast March 23 – 31 to celebrate the more than 20,000 Gray whales expected to migrate north past Oregon over the next few months. Trained volunteers from the Whale Watching Spoken Here program will be stationed 10 a.m. – 1 p.m. each day at 24 sites along the coast, ready to help visitors spot the migrating mammals. On the North Coast, there are volunteers at these sites: Lewis and Clark Interpretive Center (Cape Disappointment/Long Beach, WA), Fort Stevens State Park–Peter Iredale Shipwreck, Ecola State Park, Neahkahnie Mountain Historic Marker, Cape Meares State Scenic Viewpoint, Cape Lookout State Park, and Cape Kiwanda State Natural Area. A map of the volunteer-staffed sites is available on whalespoken.org. The Whale Watching Center in Depoe Bay will be open 10 a.m. – 4 p.m. daily. Visitors to the center can enjoy interactive whale exhibits and take in the panoramic ocean views. Binoculars are provided. Rangers from Oregon State Parks will also be on hand to answer questions about the whales. The Whale Center in Depot Bay will provide a live stream starting on March 23rd – 10 am to 4 pm each day of Whale Watching Week. 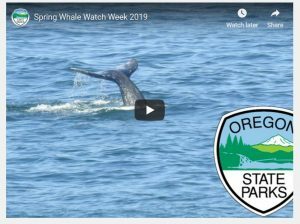 An online live stream of whale activity in Depoe Bay returns this spring too; watch it on the Oregon State Parks YouTube channel during the event. Gray whales migrate north along the coast of the western U.S. annually during spring; they return to Alaskan waters after wintering in the warm lagoons off the coast of Baja, Mexico. 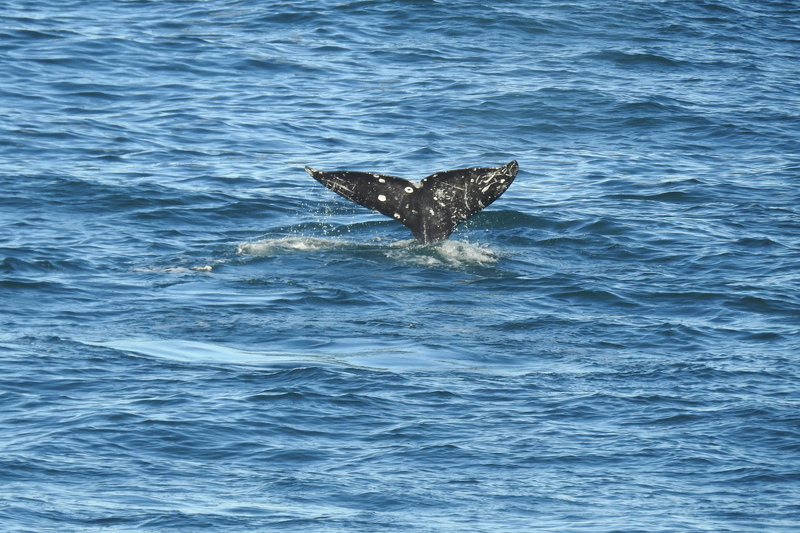 Many of the Gray whales will be accompanied by their new calves, born during the winter. The first large groups of whales pass by Oregon mid-March and the migratory stream typically continues into June. For more information about coast parks and campgrounds, visit oregonstateparks.org.